Combine any of the following vegetables to make a total of 4 cups. Clean and/or peel vegetables, cut into 1 inch pieces. Combine in a large bowl to mix. Sprinkle with herbes de Provence, salt and pepper. Mix well. Then add olive oil and mix until all vegetables are coated. Prepare baking sheet with parchment paper. 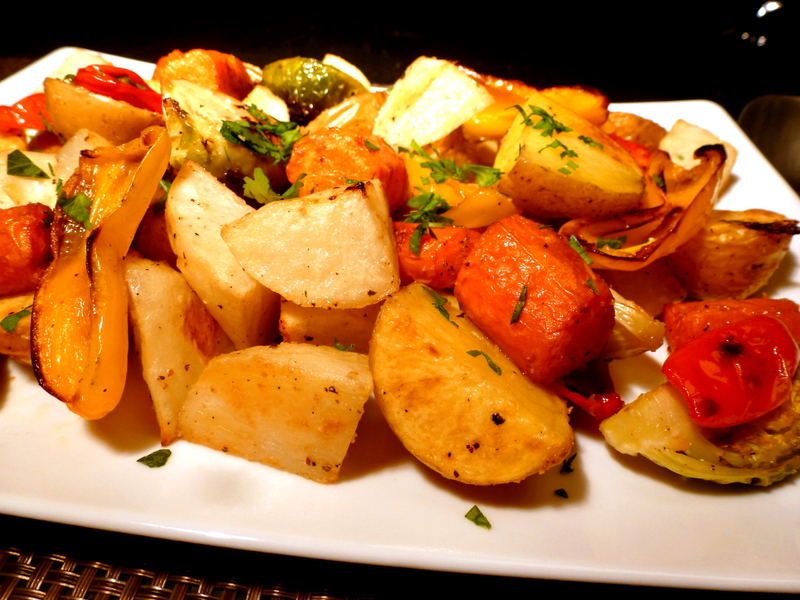 Spread vegetables on prepared baking sheet and roast for 25 - 30 minutes. Sprinkle with chopped Italian parsley. Serve hot or at room temperature.